How to 🤔 verify work rights of foreign workers? Let’s start this article by stating the obvious: It is an offense against Australian immigration and labor laws to employ, refer or contract an illegal foreign worker in the country. In some cases, the offense is not just a simple civil case; it can sometimes be criminal in nature. As such the consequences are scary. We know, we know. You don’t want to be branded as an employer of unlawful foreign workers. For one, it will have an adverse impact on your business and on your dignity as a person. Secondly, it does not come cheap: the penalty for you as a company can go as high as 200,000 plus AUD per illegal worker. The sadder thing is, you may still be held liable for the act regardless of whether you know the workers have work rights or not. Employing skilled foreign citizens can sometimes be the only left for you to resort to, especially at a time when the local labor market of Australia cannot cope with the demand for workers trained and experienced to take on the jobs in your company. It would have been easier and more convenient to hire local workforce since the requirements are fewer and the process is less cumbersome than to source out talent from overseas. But this is not possible in a country where economic growth outruns the speed in training its people. While at that, we are not saying the Commonwealth Government is not doing its part to address the shortage of skilled workers. On the contrary, it is taking the bull by its horns, so to speak. One measure it is undertaking is the massive training of its citizens geared towards equipping them to assume the roles in the different industries all over the country. This is the main reason the Skilling Australians Fund (SAF) is instituted. The downside of it, though, is it may take some more time before they could reach the point where they don’t have to rely on foreign workers to make the many businesses running. Hence, in the meantime, the status quo stays. Don’t forget to follow us on facebook if you like it here, so you’ll be first to know about updates on this page. While the country is hard pressed to supply the businesses with qualified local workers, skilled foreign nationals are aching to come to Australia to work and make a new start with their family, parents, and relatives. They are drawn towards the country because of the benefits, privileges, and amenities that majority of them could not find in their home countries. 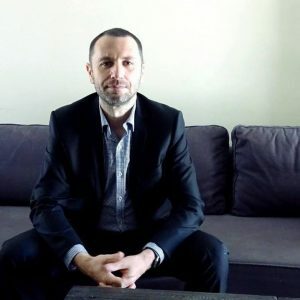 While here, they cannot only work, they can also enjoy the countless tourist destinations hereabout; let their children study in world-class universities, and many other perks while being in Australia – all of these while earning much more than what they could possibly earn in their own countries. And these workers are highly skilled in their line of work, bringing with them fresh ideas on how to do things – the exact qualifications Australia is looking for. Sometimes, scouting for them may not even take you to the countries of their birth. Many of them are already here. Take for instance the international students. Certain student visas have work rights, which make their holders a valuable source of the needed labor. There are many types of Australian visas. So, it is but imperative for you to find out which ones provide work rights for their holders. In so doing, you won’t get into the pitfall of employing unlawful workers. So, what are the visas whose holders are allowed to work in the country? Visa 457, which is now replaced by Temporary Skill Shortage (TSS) visa, needs no further introduction. It occupies the top level of the totem pole when it comes to Australian work visas being availed of by foreign workers. A good number of skilled foreign nationals now enjoying their lives in the country are in a possession of this visa. Many of them even acquire Australian citizenship in the process. As if the benefits and privileges of 457 visa or TSS visa are not enough, the dependents of the main applicants are also afforded full work rights in Australia. These are the spouses or partners of the nominated worker, their children, parents, and even some relatives. As we have already mentioned earlier, student visas of international enrollees in different universities all over the country have work rights. The number of hours may be limited while the semester is ongoing, but they can work full time during semester break. For more information on the work rights of student visa holders, please click student visa working hours. More on the international students, once they complete their studies in the country, they have the choice to apply for a temporary subclass 485 visa. This visa has full work rights and may be valid for up to four years depending on the course that the students have completed. Most foreign guests who are here on holidays usually hit two birds with one stone. While they are here to have a blast, they are also given the right to work full time on short contracts. Another precious source of qualified workers for the different industries is the holders of temporary partner visas. They are granted full work rights. Temporary visa holders who are in a possession of various types of bridging visas constitute another group of non-citizens from whom the local businesses can tap for the needed talent. The abovementioned types of visa are just some of the many visas that grant work rights to their holders. There are still many. We know already that this and that visa has work rights while others don’t have. The question now is this: How can you ascertain if a particular foreign employee of yours has work rights at certain times in the duration of their contract with you? At the start of their employment with you, you know that their visas have work rights. The problem is this: You would not have any idea if the status of the visa of your employee has changed while they are working for you. For example, a worker in possession of a temporary partner visa that has work rights may have separated with their partner, thereby losing their work rights in the process; or a student visa holder who is no longer enrolled in an eligible university; or a dependent of a TSS visa holder whose main applicant just lost their job, and so on and so forth. Overstaying non-citizens are another risk factor in employing foreign workers. Some may have served you for so long that you feel confident that you are employing legal workers without knowing that they are already staying in the country unlawfully. Passports are not the reliable source of information about the visa of a non-citizen as they don’t have the details of the visa. The best way to verify these pieces of information is to check them through the Visa Entitlement Verification Online or VEVO. This is a free online service of the Department of Home Affairs which is available 24/7, seven days a week. VEVO holds the details of one’s visa including the conditions, limitations and work rights. If you wish to know more information about VEVO, please click visa details online check. Who would wish to employ unlawful foreign workers? Nobody does, it seems. Neither are you, of course. In fact, you are willing to check the VEVO from time to time just to make sure each and every non-citizen under your jurisdiction has work rights. Unfortunately, though, given your workload and the time required in overseeing the operations of your business, you may not be able to do it. If you really don’t want to have a brush with the law, talk to us at Nowak Migration. We can help you check the work rights of your foreign employees regularly. Yes, we just don’t do Australian visas. We extend various other services for your business. 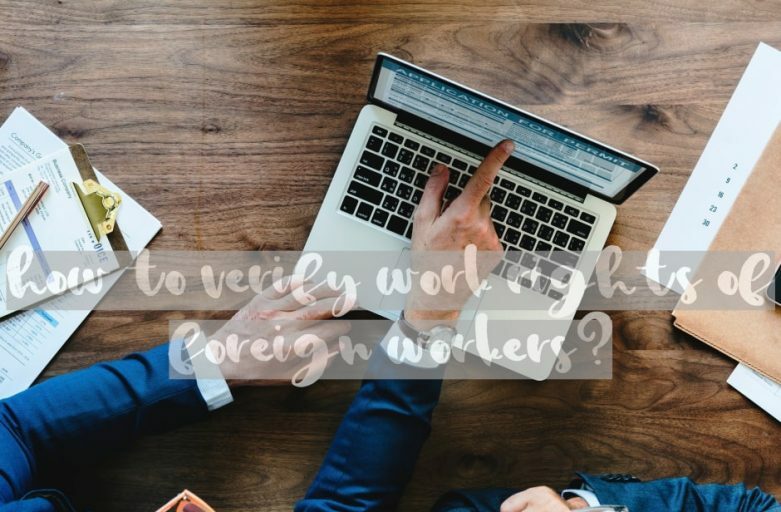 Regular verification of the work rights of your foreign workers is one of them. There are more. Mention your business requirement to us and we will assist you with it. We are able to undertake other non-immigration tasks for you because we are maintaining a first-rate network of professionals and experts from other fields. That way, you don’t have to source out the services that you need yourselves. The moment you keep in touch with us, you’ll find answers to your business-related concerns. We work with talents from such diverse industries as real estate, business law, accounting and auditing, insurance, transportation, education, and others. Should you decide to avail of our services, you will no longer worry about breaking some Australian laws as to your responsibilities as an employer of non-citizens. You will have more time then to focus on the operations of your business and other concerns. That would be a lot of work being unloaded from your shoulders. With Nowak Migration, you and your company/organization remain protected from the possibility that you could break immigration and labor laws by keeping unlawful foreign workers. So, remain protected and legal – avail of our services. We urge you then to pick up your phone now and call us for booking or consultation. Our contact information can be found anywhere on our website. Just choose the most convenient means through which to communicate with us. If you want to keep abreast of the developments on Australian migration as well as on the overall business situation of the country, please subscribe to our newsletter by filling out the form below. Don’t worry about spam; we take extra care of your privacy as you do. Finally, if you think this article can help someone you know, please share it with them through any or all of the social media sites that we are using. We will certainly appreciate your effort.